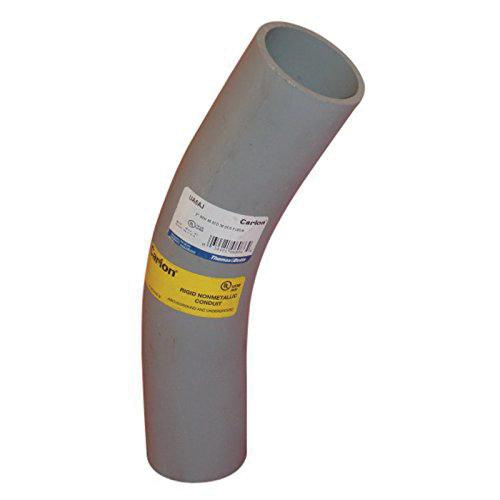 Thomas & Betts Carlon® Standard radius non-metallic 30-degree elbow of trade size 3/4-Inch, is suitable for non-metallic solvent weld fittings and rigid non-metallic conduit. This elbow in gray color, features PVC construction. Schedule 40 elbow comes with plain end connection. Elbow is UL/ETL listed and meets NEC® standards.